"This approach has enabled us to produce a satisfying set of results." Scotmid announce operating profit of £2.1m for the half year ended 26th July, 2014 marginally ahead of the equivalent period last year. 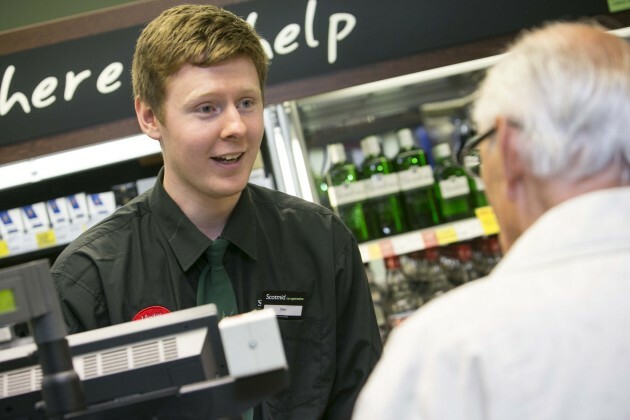 Scotmid, Scotland’s largest independent retail co-operative, has announced a £2.1m operating profit for the 26 weeks ended 26th July, 2014, slightly ahead of the same period last year, despite a number of negative factors including a decline in the food retail market in Scotland. John Brodie, Chief Executive of Scotmid said, “ Several months ago I said that we would take a measured approach to these continuing difficult times, making hard decisions where necessary but with the focus on the development of new initiatives and continuous improvement. “This approach has enabled us to produce a satisfying set of results helped by being able to mitigate the impact of the significant decline in the Scottish food market through a range of specific internal actions such as addressing loss making Semichem stores and differentiating our food convenience offer. “In general, there has been a mixed performance from our trading businesses in the period. Our food convenience business responded to the sales decline in the Scottish food retail market with a focus on the continued roll out of bakery counters and the introduction of additional local products. Tight control of costs has also been an important feature. “The integration of Lakes & Dales Co-operative (formerly Penrith Co-operative Society) has continued with their stores helping to drive the Society’s overall sales growth. “Our Semichem business delivered an improved trading result with the benefit of hard decisions taken before the year end and implemented in 2014. “The funeral business has had a difficult start to the year, relative to a strong performance in 2013, due to a number of factors such as the declining death rate and increased competition. Scotmid Property delivered another encouraging performance benefitting from investment in 2013. “Recent development of the Society’s democratic structure has focussed mainly on the implementation of Co-Op UKs updated Code of Corporate Governance. In addition, Scotmid contributed to the consultation process leading up to changes in the Co-operative Group’s governance structure. “At the year- end we predicted that there would be no meaningful recovery in 2014 despite the widely reported indicators of economic recovery in other locations and sectors. Unfortunately in the case of the food retail market in Scotland, specific factors have resulted in a further general decline. “In this context and given the significance of food convenience to the Society actions to differentiate our stores from those of our competitors and to control costs have been very important. “We will therefore continue with our considered response to these difficult times, taking the hard decisions, supported by a focus on continued improvement.